Jesus commanded His disciples to go and make more disciples, but this command to evangelize extends well beyond the conversion of an unbeliever. Jesus said, “teach them to observe all I commanded you”. 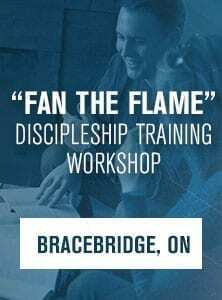 Jesus has called us to be His witnesses to His power and glory; He has called us to share the gospel and to disciple new believers into a growing knowledge of their Saviour. 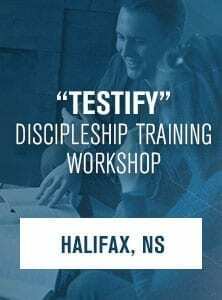 Join our National Director, Mark Sheldrake, as you learn how to study the Bible with the intention of making more disciples who make disciples. 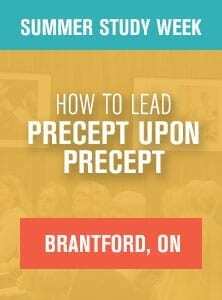 In this 3-hour workshop, we will use the Precept Inductive Bible Study method to study Jesus’ prayer in John 17, as well as learning how to use a simple discipleship tool called How Do You Know God’s Your Father. 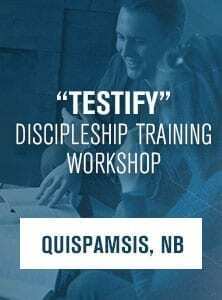 Unlimited available "Testify" Discipleship Training Workshop - Quispamsis NB $30.00 Join our National Director, Mark Sheldrake, as you learn how to study the Bible with the intention of making more disciples who make disciples.